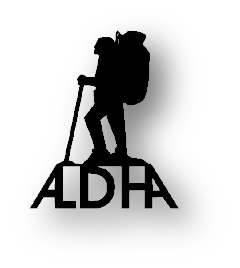 Add to Calendar 10/11/2019 12:00 PM 10/14/2019 10:00 AM America/New_York 38th Annual ALDHA Gathering The 38th Annual ALDHA Gathering of long-distance hikers, friends and A.T. dreamers will convene Columbus Day weekend, Oct. 11-14 Williamstown, Mass. The 38th annual Gathering of long-distance hikers, friends and A.T. dreamers will convene on Columbus Day weekend, Oct. 11-14, 2019, at Williams College in Williamstown, Mass.. It will be the third time the Gathering will be held at the college that's in the picturesque Berkshire Mountains. The A.T. is less than three miles away. ALDHA is grateful to be guests of Williams College and the Williamstown community, and would like to offer sincere thanks to the Williams Outing Club Director, Scott Lewis, and his student Outing Club hosts, and to Eric White, who has once again graciously extended the use of nearby Carmelite Fields for the campsite. There is a $20 fee to attend the Gathering. Sign up in advance to be entered in the Early Bird Raffle for a chance to win some great raffle prizes and gear. All the forms you need are on this web page in the right rail: the Gathering registration form, the workshop/presenter form, the hiker fair exhibitor form, and the 2,000-miler recognition form. Alternatively, you can register when you arrive. Registration will be open throughout the weekend, starting at noon on Friday. When you register or check in, you'll receive a Gathering packet. Included will be a program and details about the workshops scheduled throughout the weekend, meal tickets, and any swag the board can come up with. Registration will be located in the barn at Carmelite Fields on Friday from noon til 5:00, at the '62 Center on Friday evening and in ALDHA Central on Saturday. Still thinking about presenting? There’s still time, but not much – deadline for proposing workshops is Sept. 1. Complete the online form using the link at the upper right hand column of this page. Contact the Gathering program coordinators at gathering@aldha.org with any questions. If you've recently completed the A.T., please be sure to let us know at the registration table so we can recognize you during our Friday night program and present your certificate. 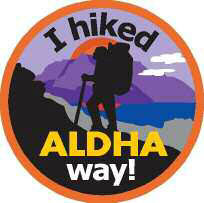 See details about the "I Hiked ALDHA Way" patch and certificate on this page of the website. You must be at the Gathering to receive your patch and certificate. Here you'll find ALDHA Central (the registration desk, ALDHA Store, lost and found, etc. ), the A.T. Museum exhibit, the Spirit Table, exhibits from various trail clubs, vendors, and authors, the photo contest, and the apple contest. Vendors and exhibitors should register online using the form in the right hand column to set up a table at the fair. The Earl Shaffer Memorial Photo Contest is now accepting digital photo submissions and short videos! To enter, complete the Photo Contest Form and upload your image or video from your phone or computer. Printed images should be submitted as digital files. You may enter up to 5 separate submissions. Entries must be received by September 15, 2019. Photos and videos will be shared on the ALDHA website, where the general public can vote on their favorites. 1) Trail beauty and grandeur. 2) Trail wildlife or flora. 5) Short videos from the trail. Submissions may be related to any trail, not just the A.T. Winners will be announced at the Gathering, and awarded ALDHA Store gear. Best Thru & Thru - Award for Best Overall Taste. The classic award, judges will pick their favorite for the best tasting entry. Keep the trail in mind as your design theme! Do you have a favorite recipe that is a bit different from the typical brownie or chocolate chip cookie? Now is your chance to show it off. Drop off your homemade treats near the registration table at ALDHA Central by 5pm on Friday afternoon and they will be shared with all attendees after the opening night presentation. Pre-sliced or individual serving sizes are greatly appreciated. Please do not bring items that need to be refrigerated. You are welcome to submit more than one item for the contest. If you are not planning to enter the contest and would like to volunteer as a judge for the Bake-Off (the sweetest job of all! ), contact Betsy Kane at betsykane@gmail.com. 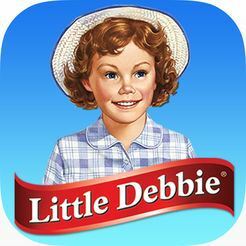 Judges should have no dietary restrictions and be available for judging from 6:30-7pm on Friday, October 11. Back by popular demand is the Apple Contest. Bring your sweet, gigantic, or miniature apples when you register, or to ALDHA Central on Saturday morning. Please provide your name, contact info, and the state the apples came from. Judging will be Saturday afternoon and the winners will be announced at the Saturday evening program. Prizes will be awarded. In addition to the pre-registration Early Bird Raffle mentioned above, we will be conducting a raffle throughout the weekend. Tickets will be available in ALDHA Central. Prior to the Saturday evening program we will draw the winning tickets and give out $250 worth of prizes from the ALDHA Store to the winners. We'll award one prize of $25 in merchandise, three prizes of $50 in merchandise, and one prize of $75 in merchandise. All proceeds will go to help defray Gathering costs, and to a trail project if there are excess funds. This will be a fun way to help support the Gathering and other ALDHA projects. A number of positions on the ALDHA board will be up for election at this year's Gathering, and new members will be needed to fill the roles of those who wish to step down. Elections will be held Sunday morning at the business meeting. Please contact the coordinator if you are interested in serving on the board. We encourage all Gathering attendees to join us for the Sunday morning general meeting. It's a great way to see who the leaders of our organization are and to learn more about ALDHA. On Monday, we’ll have our usual work trip – . Breakfast will be provided, and you will receive a work trip patch to thank you for your hard work. You can sign up at ALDHA Central throughout the weekend. ALDHA will be selling meals tickets for Saturday breakfast, lunch and dinner, and Sunday brunch and dinner. You'll be able to purchase a meals package for all 5 meals at a reduced rate of $45 online, along with your gathering fee. Also, Williamstown has many area restaurants. Motels in Williamstown from the Thru-Hikers' Companion. 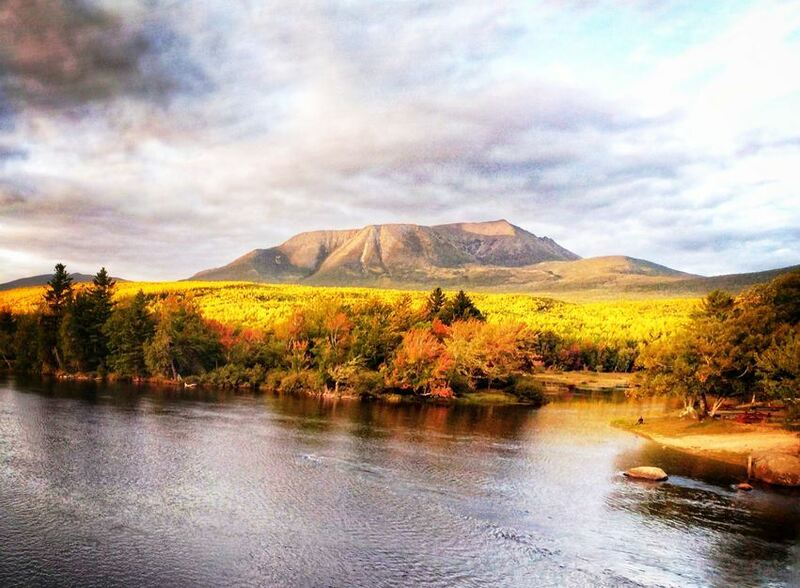 Please note that the Gathering is during leaf peeping season, and rates may be higher. Williamstown Motel, (413) 458-5202, $59–89s, $10eap, continental B, WiFi, Internet, fridge, microwave. Howard Johnson, (413) 458-8158, , $59–$149 rate based on season and day of week, no pets, continental B, pool. Maple Terrace Motel, (413) 458-9677, $75–$160 includes B, WiFi, heated pool, two rooms for pets, all rooms nonsmoking. The Willows Motel, 480 Main St., Williamstown, MA 01267, (413) 458-5768, , Su–Th $69–$119, F–Sa $89–$129 includes continental B, microwave, Internet, free laundry. Of course, camping is FREE at Carmelite Field. We encourage all Gathering attendees to join us for the Sunday morning annual meeting. This is a great way to see who the leaders of our organization are and to learn more about ALDHA. It's rewarding to be more involved in this great organization, so come and see how you can serve. The group photo will be taken immediately after the annual meeting. Service animals will be allowed at all events. Dogs must be on a leash at all times, and any gifts dropped on the ground must be cleaned up immediately. The facility is ADA accessible, however it is likely that the restrooms in the camping area will not be. The education center's restrooms will be open while programs are going on, but the buildings will be locked at night. Not alcohol allowed on campus, but reasonable alcohol consumption will be allowed at the campsite. We probably don't need to even mention this, but please be respectful of our hosts at the facility, the townspeople and your fellow Gathering attendees. And please let the workshop presenters, Board members, and event volunteers know that you appreciate their hard work. We're always looking for volunteers to help with activities and contests at the Gathering. If you're interested in volunteering, email Randy or Peter at gathering@aldha.org. 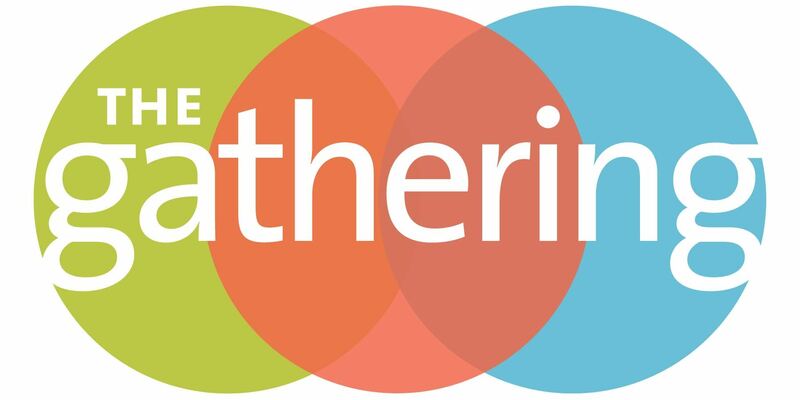 Sign up for the Gathering, and join/renew in ALDHA all in one swoop, by following this link to the Events page. Would you like to put on a workshop at this year's Gathering about a trail you've hiked, or a trail-related subject you feel strongly about? Fill out this online form and send it electronically to the Gathering coordinator. If your trail club or hiker-related cause or business would like to set up a table at our Gathering Hiker Fair, fill out this digital form and send it to us electronically. Click here to fill out an online form if you have finished the A.T. this past year and plan to attend the Gathering. On Friday night, we'll call you up on stage to present a special "I Hiked ALDHA Way" patch and certificate from ALDHA, to congratulate you before your peers. The first Gathering was held before ALDHA was even officially created. 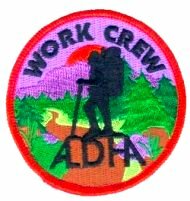 In the fall of 1982, Warren Doyle gathered together long-distance hikers and friends of the trail for a weekend retreat in southern West Virginia, and it was during that time of fellowship and renewal in the community of the Appalachian Trail that the seed of an idea for ALDHA was planted. Six months later, at a meeting in Harpers Ferry on March 5, 1983, attendees voted to formally establish an organization of hikers, maintainers, friends of the trail and folks who dream of someday hiking the A.T., and they christened their newborn group the Appalachian Long Distance Hikers Association. ALDHA has held an annual Gathering ever since, with locations varying from north to south to accommodate our ever-growing membership. 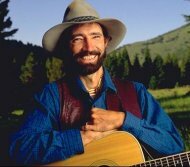 At the 2000 Gathering in Pipestem, W.Va., Walkin' Jim Stoltz was asked if he would compose a song for ALDHA to help mark the 20th Gathering the following year. He readily agreed, then admitted later that it proved to be a lot harder than he thought it would be. When he stood up to perform it that next year at the 2001 Gathering in Hanover, N.H., we think he hit it out of the park. A few years later, he sat down and recorded it for Weathercarrot's video documentary on the 25th anniversary of ALDHA. After his untimely passing in 2010, Jim's former wife gave ALDHA the rights to it, and we offer it to you all in hopes that it'll stir fond memories of the Gathering and that you'll always remember Walkin' Jim.